What Are the Best Bars in Brownfield? Are you ready to kick back a few with some friends at the end of the week, but aren’t sure where to go? We have compiled a collection of well-loved local bars for you to try. Whether you like beer, wine, or anything in between, you’re sure to find your new favorite watering hole in the Lubbock-area! The Range is the perfect venue for people that enjoy fun, live music, and good drinks. Tip back your favorite adult beverage while playing at the lightening driving range or challenging your friends to a game of washers. Dance the night away and enjoy an affordable night out with their drink and games specials offered 6 days a week. The Triple D Winery and Restaurant boasts a drink menu that offers both locally produced wine and other wine favorites. Hobbs NM wine aficionados will even find a twist on a classic mixed drink–delicious margaritas made with wine! Plan a tasting for your next night out or drop in when they are hosting their live music events. Either way, you will find delicious food and drinks to unwind with at this Brownfield winery. Catch the latest Dallas Cowboys game on a big screen at Nick’s Sports Grille and Lounge. This upscale sports bar features a variety of drinks including martinis, specialty shots, specialty mixed drinks, and draft and bottled beer. Happy Hour is more like Happy Day at Nick’s, running from 11am to 7pm Monday-Friday and featuring discounted well drinks, domestic drafts, and domestic bottles. You can also book VIP rooms for your special events. Looking for a great margarita and some food with a Mexican flavor? Stop by Fuzzy’s Taco Shop and party in their festive environment. Want to bring your pooch to dinner? Feel free if you are eating on the patio of Fuzzy’s! Whether you want to learn some music history or spend some time outside enjoying the Texas sunshine, the Brownfield area delivers. 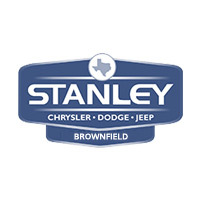 Whether you are a local or just passing through, enjoy this corner of the map at Stanley Chrysler Dodge Jeep Ram Brownfield. 0 comment(s) so far on What Are the Best Bars in Brownfield?